The Saskatoon Blades are losing money and they just might miss the playoffs for a fourth straight season. However, owner Mike Priestner says they aren’t going anywhere, nor is he interested in selling them. “I’m a thousand per cent patient,” he told Kevin Mitchell of the Saskatoon StarPhoenix in a story that is right here. . . . Priestner wouldn’t talk about the lawsuit that is making its way through the legal system asking that teams pay minimum wage and other benefits to players — there is a WHL directive instructing teams not to discuss it — but he does talk about wins and losses, profits and losses, and more. A tip of the cap to the Vancouver Giants for going the extra mile to promote organ donor awareness. 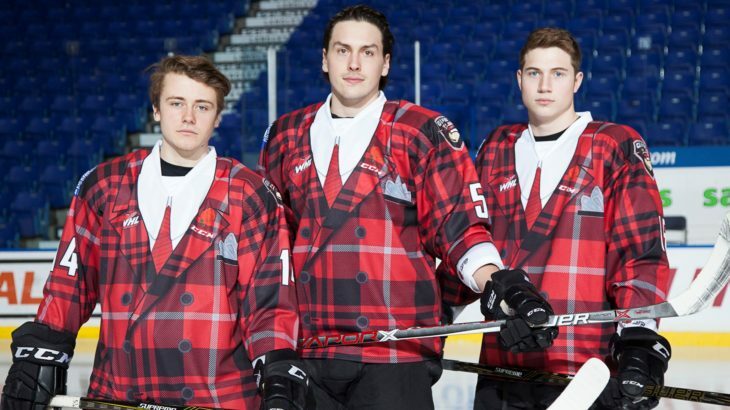 The Giants are teaming up with Don Cherry, his family and the Kidney Foundation of Canada to hold Don Cherry Night on March 14 when the Giants play host to the Victoria Royals at the Langley Events Centre. D Jacob Bernard-Docker, a fifth-round selection by the Swift Current Broncos in the WHL’s 2015 bantam draft, has committed to attend the U of North Dakota and play for the Fighting Hawks starting in 2019-20. From Canmore, Alta., Bernard-Docker has 20 points, including seven goals, in 52 games with the AJHL’s Okotoks Oilers. The MJHL’s OCN Blizzard will be around for a while longer, after all. The Opaskwayak Cree Nation had announced that the Blizzard would be suspending operations before another season arrives. On Wednesday, however, the Blizzard announced that it has been saved. From a news release: “The Opaskwayak Cree Nation Chief and Council announced they’ve passed a motion to allow the OCN Blizzard Jr. A hockey club the opportunity to self-sustain in the Manitoba Junior Hockey League for the 2017-18 season, upon MJHL approval.” . . . The complete news release is right here. Kings, 3-2. . . . The Wheat Kings didn’t touch the puck in extra time before Estephan won it with his 28th goal of the season. . . . F Ryan Vandervlis gave the visitors a 1-0 lead, on a PP, at 13:24 of the first period. . . . The Wheat Kings went ahead 2-1 on goals from F Tyler Coulter (27), at 19:20, and F Nolan Patrick (17), at 9:17 of the second period. . . . F Alec Baer’s 13th goal of the season, at 14:37 of the second, tied it. . . . The Hurricanes got two assists from each of D Brennan Menell and D Calen Addison. Baer added an assist to his goal. . . . Coulter also had an assist. . . . 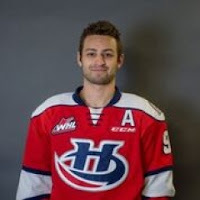 The Hurricanes got 32 saves from G Stuart Skinner. . . . G Logan Thompson stopped 36 shots for the home side. . . . Lethbridge was 1-6 on the PP; Brandon was 0-2. . . . The Hurricanes (40-17-7) have won four in a row. They remain second in the Central Division, four points behind Medicine Hat. . . . The Wheat Kings (28-26-10) have dropped six in a row (0-4-2). They hold down the Eastern Conference’s first wild-card spot. . . . Announced attendance: 4,177. Kootenay Ice to a 5-2 victory over the Oil Kings. . . . The Ice took a 2-0 lead on goals from D Cale Fleury (11), on a PP, at 3:55 of the first period and Loschiavo (24) at 5:15. . . . F Davis Koch scored his 20th goal, at 8:30, to get the Oil Kings to within a goal. . . . The Ice took control on second-period goals from D Dallas Hines (4), on a PP, at 1:48, and Kroeker (16), at 19:04. . . . D Conner McDonald scored his seventh goal, getting the Oil Kings to within two, at 17:18 of the third period. . . . F Brett Davis (17) iced it for the Ice with an empty-netter at 18:38. . . . G Payton Lee stopped 30 shots to earn the victory. . . . Edmonton G Patrick Dea stopped 25 shots. . . . Kootenay was 2-5 on the PP; Edmonton was 0-3. . . . The Ice (14-38-10) had lost its previous three games. . . . The Oil Kings (20-39-5) have lost seven in a row (0-6-1). . . . Announced attendance: 6,671.
native who is expected to be a first-round selection in the NHL’s 2017 draft. Yamamoto has 81 points in 55 games this season. In 180 career games, he has 209 points, including 78 goals. . . . F Jaret Anderson-Dolan’s 34th goal, on a PP, at 11:17 of the first period, gave Spokane a 1-0 lead. . . . Yamamoto made it 2-0 at 17:25 of the second period. . . . 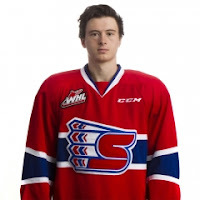 The Chiefs went up 3-0 on F Keanu Yamamoto’s 24th goal, on a PP, at 1:13 of the third period. . . . Everett got its goal from F Riley Sutter (17), on a PP, at 13:35. . . . Spokane F Riley Woods (11) put it away with an empty-netter at 17:34. . . . The Chiefs got two assists from F Hudson Elynuik, while Anderson-Dolan added one. . . . G Jayden Sittler earned the victory with 32 saves. . . . The Silvertips got 29 saves from Carter Hart. . . . Spokane was 2-6 on the PP; Everett was 1-5. . . . Mitch Love, an Everett assistant coach, got the ol’ heave-ho 56 seconds into the third period. He did it up right, though, as he took a minor penalty before getting ejected and then another one on the way out. . . . The Chiefs (26-27-9) had lost their previous three games. They have 10 games remaining and are nine points away from a playoff spot. . . . The Silvertips (38-14-10) have lost two in a row. They are tied with Seattle for first place in the U.S. Division. Everett has two games in hand.. . . Announced attendance: 3,519. Ingram made a right pad save on Sea F Donovan Neuls, who had gotten away from Sideroff to go in alone, moments before Sideroff went down the right side and scored the winner, his second goal of the game and 35th this season. It was his 10th game-winner, tying him for the WHL lead with F Tyler Wong of the Lethbridge Hurricanes. . . . Ingram got the lone assist on the winner, his third assist this season. Those assists have come in his past seven games after he went 146 games before getting No. 1. . . . Sideroff’s fifth OT goal this season ties the WHL’s single-season record. He now shares that mark with F Eric Fehr, who did it with the 2004-05 Brandon Wheat Kings. . . . If you’re wondering, F Brian Propp of the Wheat Kings holds the single-season record for game-winning goals (16), from 1978-79. . . . Kamloops took a 1-0 lead at 8:47 of the first period when F Garrett Pilon’s centring pass was deposited into the Seattle net by Thunderbirds F Ryan Gropp, a Kamloops native who, barring playoffs, was playing his last WHL game in his hometown. . . . Pilon has 18 goals. . . . The Blazers went up 2-0 at 9:41 when F Luc Smith scored No. 11. . . . Seattle tied it on a pair of Gropp goals, at 11:15 of the first and 18:11 of the second period. He’s got 31 goals. . . . F Keegan Kolesar gave Seattle a 3-2 lead at 3:22 of the third period. . . . Kamloops D Dallas Valentine (2) tied it at 5:30 and Sideroff put his guys out front at 10:02. . . . The Thunderbirds forced OT when Kolesar scored his 24th goal, with 12.4 seconds left on the clock and G Rylan Toth on the bench for the extra attacker. . . . 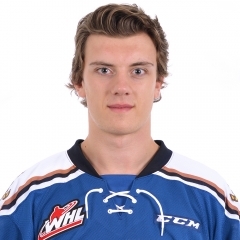 The Blazers got two assists from each of F Rudolfs Balcers and F Quinn Benjafield, while Pilon added one. . . . F Mathew Barzal had three assists for Seattle, with Gropp picking up one. . . . Ingram finished with 31 saves, three more than Toth. . . . Seattle was 0-3 on the PP; Kamloops was 0-4. . . . The Thunderbirds were without D Jarret Tyszka, F Scott Eansor and D Ethan Bear, three top-end skaters who are sidelined with injuries. They had D Jake Lee, 15, from Sherwood Park, Alta., and F Ian Briscoe, 17, from Winnipeg, in the lineup. . . . The Blazers (38-21-6) had lost their previous two games. With this victory, they clinched a playoff spot and moved to within three points of the B.C. Division-leading Prince George Cougars. . . . The Thunderbirds (40-18-6) have points in three straight (2-0-1). The loser point allowed them to move into a tie with Everett atop the U.S. Division. . . . Announced attendance: 3,560.
over the Prince George Cougars. . . . Thurkauf, who has 32 goals, gave the Rockets a 1-0 lead, on a PP, at 4:27 of the second period. . . . F Kyle Topping (13) made it 2-0 at 9:53. . . . Thurkauf scored again at 11:08, for a 3-0 lead, and F Nick Merkley’s PP goal at 15:32 made it 4-0. . . . Merkley has 23 goals. . . . 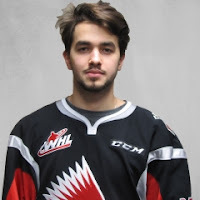 The Cougars got a goal from F Radovan Bondra, his 30th, at 1:04 of the third period. . . . Kelowna F Dillon Dube (13) closed out the scoring, on a PP, at 15:17. . . . The Rockets got two assists from each of F Reid Gardiner and D Cal Foote, with Dube adding one. . . . Kelowna G Michael Herringer turned aside 25 shots. . . . The Cougars got 32 stops from G Ty Edmonds. . . . The Rockets were 3-10 on the PP; the Cougars were 0-2. . . . Prince George was without F Colby McAuley (one-game suspension), D Brendan Guhle and F Brad Morrison, the latter two out with undisclosed injuries. . . . The Rockets (38-21-5) have won two in a row. They are third in the B.C. Division, a point behind Kamloops. . . . The Cougars (40-20-5) journeyed south for a single game. They now return home to face the Kamloops Blazers in a Friday-Saturday doubleheader. The Cougars lead the B.C. Division by three points over Kamloops, each with seven games remaining. . . . Announced attendance: 5,121. 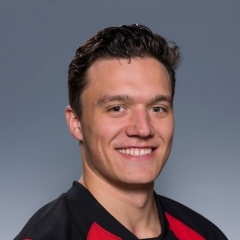 Calgary Hitmen, 4-3. . . . Khomenko won it with his 14th goal of the season. . . . The Warriors led this one 3-0 early in the second period, only to have the visitors tie it in the third period. . . . 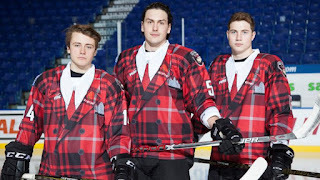 The Warriors went up 3-0 on goals from F Brett Howden (34), at 5:29 of the first period, F Tanner Jeannot (17), at 13:08, and F Jayden Halbgewachs (45), at 5:29 of the second. . . . The Calgary comeback began when F Jake Kryski scored No. 17, at 9:14 of the second. . . . F Matteo Gennaro got his 38th at 1:54 of the third, and D Brady Reagan (6) tied it at 8:08. . . . D Matt Sozanski and D Josh Brook each had two assists for Moose Jaw, with Halbgewachs getting one. . . . The Warriors got a big game from G Zach Sawchenko, who stopped 33 shots. . . . Calgary starter Trevor Martin gave up two goals on 10 shots in the first period before leaving with an apparent ankle injury. Kyle Dumba finished up with 16 saves on 18 shots over 38:35. . . . Moose Jaw was 1-3 on the PP; Calgary was 0-2. . . . The Warriors (39-17-8) have won seven in a row. They are second in the East Division, 10 points behind Regina and 12 ahead of Swift Current. . . . The Hitmen (24-29-10) have lost two straight. They hold down the Eastern Conference’s second wild-card spot, two points ahead of Saskatoon. . . . Announced attendance: 2,843. 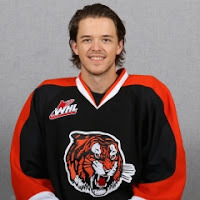 Steve Owre, to beat the Raiders, 6-5. . . . F D-Jay Jerome’s eighth goal, at 5:56 of the third period, had given Prince Albert a 5-3 lead. . . . F John Dahlstrom got the Tigers to within a goal with his 25th, at 9:14, and F Mark Rassell tied it, on a PP, at 14:04. He’s got 32 goals. . . . Owre won it with his 23rd goal of the season. . . . The Tigers opened the scoring when F Mason Shaw (26) counted at 6:42 of the first period. . . . The Raiders took a 2-1 lead on goals from F Curtis Miske (18), on a PP, at 7:56, and F Cavin Leth (20), at 5:19 of the second period. . . . Rassell tied it while shorthanded at 14:39. . . . Goals from Leth, at 1:19 of the third period, and F Parker Kelly (14), at 4:01, gave the home side a 4-2 lead. . . . The Tigers cut into that when F Matt Bradley got No. 30, at 5:13. . . . Bradley, Owre and Shaw each had one assist. . . . Miske had two assists for the Raiders, with Kelly getting one. . . . G Michael Bullion earned the victory with 36 stops. . . . The Raiders started G Ian Scott, who gave up four goals on 30 shots in 50:23. Nic Sanders finished up, allowing two goals on 11 shots in 10:08. . . . Each team was 1-3 on the PP. . . . Medicine Hat (45-18-1) has won three straight. The Tigers lead the Central Division by four points over Lethbridge. . . . The Raiders (17-40-7) were eliminated from the playoff picture with the loss. . . . Announced attendance: 2,005.
unleashed a 55-shot attack in a 5-1 victory over the Vancouver Giants. . . . Iverson, who has 20 goals, scored a pair of PP goals, giving his guys a 1-0 lead at 8:23 of the first period and putting them ahead 3-0 at 15:51 of the second. . . . In between, Gricius scored his eighth goal. . . . D Matt Barberis (10) scored for Vancouver, on a PP, at 2:47 of the third period. . . . F Matt Revel (8) scored his first goal for the Winterhawks, an empty-netter, at 18:10. 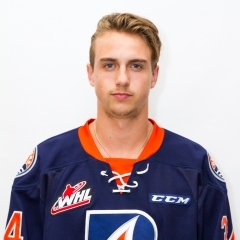 Revel started the season with the Kamloops Blazers but suffered a collarbone injury in December. The Winterhawks picked him up on 20-year-old waivers in January. . . . Gricius got Portland’s last goal at 19:02. . . . 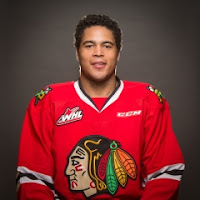 The Winterhawks got two assists from D Caleb Jones. . . . G Cole Kehler stopped 17 shots for Portland. . . . Vancouver G Ryan Kubic blocked 51 shots. . . . The Winterhawks were 3-5 on the PP; the Giants were 1-3. . . . Portland (33-26-4) had lost its previous four games (0-3-1). The Winterhawks are in the Western Conference’s second wild-card spot, five points behind Victoria. . . . Vancouver (19-40-5) has lost four straight. . . . The Giants and Winterhawks will meet in Portland on Friday and Saturday nights. . . . Announced attendance: 3,113.